M42 Worcestershire northbound severe disruption, at J2 for A441 Alvechurch. M42 Worcestershire - M42 lane closed on entry slip road northbound at J2, A441 (Alvechurch), because of a broken down vehicle. Traffic is coping well. M42 Worcestershire northbound severe disruption, between J1 for A38 and J2 for A441 Alvechurch. M42 Worcestershire - One lane closed on M42 northbound between J1, A38 (Bromsgrove) and J2, A441 (Alvechurch), because of a vehicle fire. M42 Worcestershire northbound severe accident, between J3 for A435 Portway and J2 for A441 Alvechurch. M42 Worcestershire - One lane closed on M42 northbound between J3, A435 (Portway) and J2, A441 (Alvechurch), because of an accident. M5 Worcestershire northbound severe accident, between J6 for A449 and J5 for A38 Droitwich. M5 Worcestershire - One lane blocked on M5 northbound between J6, A449 (Worcester) and J5, A38 (Droitwich), because of an accident. Traffic is coping well. 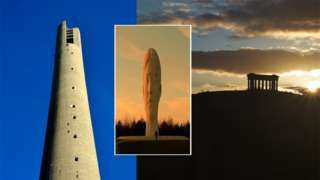 From twisty towers to tree-topped tors - the English landmarks that signify a journey's end. 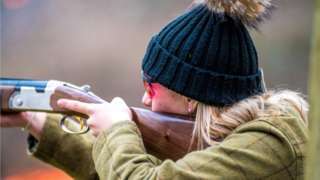 The number of women taking up shooting for pleasure is on the rise - why? We'll be back on Monday morning our usual mix of news, sport, travel and weather from 08:00. It was one of the grandest country houses in England - the place that the rich and famous turned up for lavish parties lasting for day. But 80 years ago a huge fire destroyed a large part of it. Our reporter will have more on why Witley Court is destined to stay a ruin, tune in to BBC One at 18:30. M5 Worcestershire - Queuing traffic on M5 northbound at J8 M50, because of an accident earlier on. All lanes have been re-opened. Congestion to J10, A4019 (Cheltenham). The water in the River Severn will be turning green, red and blue as it flows thorough Bewdley this weekend. Special effects will be used to colour it during the world premier of a son et lumière show performed on the bank and created for Bewdley by a composer who lives in the town. River, Forest and Royals has been written by Jim Ineson. Hundreds of fish have died in a stream in Worcestershire. It's believed around 500 fish were killed after a pollutant got into Lawn Brook in the St John's area of the city. The Environment Agency's Dave Throup says it is believed the poison seeped into the water earlier in the week. The skies in these two BBC Weather Watcher pictures look rather grey and ominous and yet we still think they look rather beautiful. Morning Amble took this picture in Ashton under Hill. This photo was taken in Bromyard by Postman Les. You can sign up and become a BBC Weather Watcher here. Any showers will ease letting through some late sunshine, overnight there's more showers, but it should pass through in the early hours. Keep up-to-date with the forecast where you are on the BBC Weather website. A Hereford man says he’s desperate for news of his brother, missing since Hurricane Irma hit the British Virgin Islands. Robin Hales moved to Tortola in January with his family, but hasn’t been heard of since Wednesday. His brother Keith told BBC Hereford & Worcester he's growing increasingly concerned. Proposals for a new Gin Palace in Worcester city centre have today been refused by councillors. Hogarths wanted to open the Victorian-style venue inside the old Co-op in Angel Street. The city council's licensing sub-committee blocked the move after concerns from West Mercia Police, who said there are enough pubs in the area already. "Deferred prosecution" is being called for by an MP who has led a review into the prison service in England and Wales. MP David Lammy's review finds the system is biased and discriminates in treatment of people from ethnic minority backgrounds. The Labour MP has made 35 recommendations, following a trial in the West Midlands where low-level offenders were allowed to "defer" prosecution and opt for a rehabilitation programme before entering a plea. Video caption: Reality Check: Are ethnic minorities treated fairly in the justice system?Reality Check: Are ethnic minorities treated fairly in the justice system? Mr Lammy says the trial "produced impressive results and should be rolled out across the country". Operation Turning Point, was trialled from 2011 for four years, to those facing prosecution who had no more than one conviction. The government says it will "look carefully" at the recommendations. There are delays of around 90 minutes on the M5 at J7 for Worcester and J8 for Strensham services. An accident has been cleared, Highways England says but delays are "severe". A44 Herefordshire both ways severe disruption, between B4220 Malvern Road and B4197. A44 Herefordshire - A44 closed and slow traffic in both directions between the B4220 Malvern Road junction in Brockhampton and the B4197 junction in Knightwick, because of an incident. A tractor crashed into a lamppost causing the A44 to close. Worcester Warriors have made two changes to the side that will face Wasps tomorrow at Sixways. Perry Humphreys returns to the side, while Pierce Philips makes his first start.